The Drager Flame 1700 is an UV flame detector, designed for the detection of non-organic based fires such as hydrogen and metals as well as organic based fires. The detector provides flexibility with its numerous output modes, and advanced design features ensure reliability and speed in the detection of such fires. Automatic checks of the detector electronics and optics ensure no fault goes undetected. Additionally the test can be triggered manually at anytime. 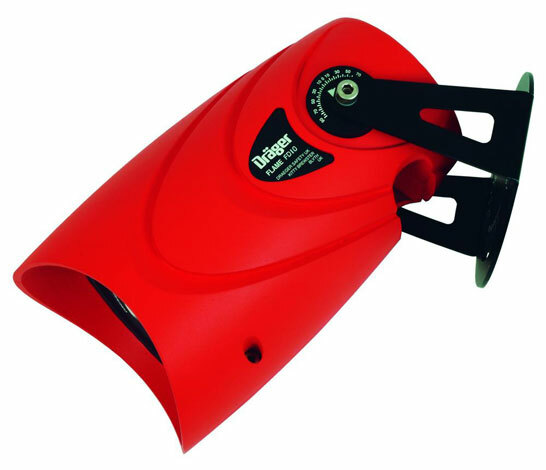 The Drager Flame 1700 can be used worldwide with the following approvals: ATEX, IECEx, FM and CSA.